It’s important to get the big decisions right in life. The restaurant where you are eating tonight? Not really that important. 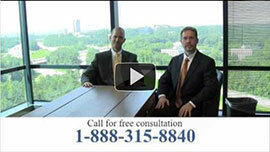 Which personal injury attorney you are going to hire to give you the best case result for a truck accident lawsuit? That decision could potentially cost you hundreds of thousands, if not millions of dollars, depending on your case. That being said, we want to offer you some insights to ensure you hire a personal injury lawyer who is a good fit for you. In this article, we will discuss our top 7 suggestions to use when hiring a truck accident injury lawyer. 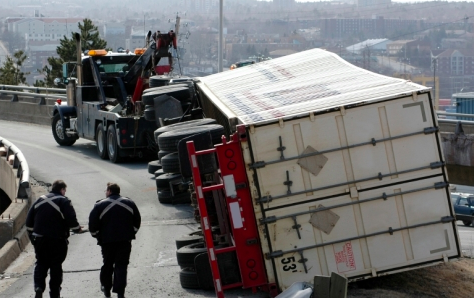 If you live in the southeastern United States, and you or a loved one have been involved in a severe, catastrophic semi, dump, or box truck accident, then we encourage you to contact our law firm, Link & Smith, P.C., today for a free consultation. Our law firm is located in the Atlanta area and we serve clients in Georgia, Alabama, and Florida. 1. Look for the right size firm for you. Every person is different and are going to use different criteria in order to evaluate personal injury lawyers. In most walks of life, regardless of the industry, you are going to receive the best service and results from relatively small, niche companies that focus on putting their clients first. These are the same companies where you can meet directly with the owners and managing partners, as opposed to junior level associates. At Link & Smith, one of our two personal injury attorneys, Mark Link or Houston Smith will be handling your case personally. Your case is not subbed out to a junior level associate with no real world or courtroom experience. When we say that we will fight for your truck accident case results, we mean it. 2. Make sure you can meet with your attorney in person. When a large sum of money is on the line, as is often the case with a truck accident personal injury case, it is important and comforting for both parties to meet in person to discuss the case. At Link & Smith in Tucker, GA (just outside of Atlanta) we like to keep our clients in the loop throughout the entire process. We also enjoy meeting clients in person to ensure we have all of the details and information we need to adequately address your case, either via settlement, or if need be, in court. 3. Make sure your attorney is experienced with handling truck injury cases. This is very important. When some people are injured in an accident, they just go to the first lawyer they can find. If they are a little wiser, they will go to a personal injury attorney. While selecting a lawyer who focuses exclusively on personal injury is great, even that may not be enough. 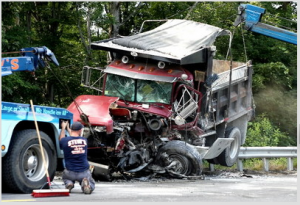 In order to give yourself the best chance to settle or win your case in court, we would advise you to work solely with a personal injury attorney who has experience dealing with 18 wheeler, heavy truck, and tractor trailer accidents. The skills and expertise required to represent clients in these special cases require a personal injury attorney who is experienced with truck accident injury victims. 4. No legal fees if you don’t win. Most personal injury law firms work on a contingency basis, meaning that if they are not able to reach a settlement or win your case, you do not pay legal fees. However, there are some personal injury firms that charge people by the hour for consultations and other preparatory work related to the case. If a truck accident personal injury law firm mentions this, we think it’s best that you run the other way…and fast! One detail to discuss with any attorney you plan on working with: additional fees, such as court room fees and actual case costs (separate from your attorney fees). A good personal injury lawyer who has your best interests at heart will be happy to discuss this information with you– that way, you’ll have a better idea of what you are looking at regarding costs. 5. Does the personal injury firm have impressive case results? Case results are important since they portray a firm’s success when fighting for their clients. Most reputable personal injury firms will post their case results on their website, including some of their biggest case wins. If you’d like to see some case results from our truck accident injury lawyer, click here for case results. It’s important to note that no personal injury firm can guarantee a settlement or a victory in the court room. However, we fight for our clients as if they were our own family members. We do everything in our power to ensure justice for all of our clients. 6. Investigate firms you are considering (check online reviews, professional organizations, etc.). Even if a trusted friend recommends a particular law firm, it is still important to do your homework. Just because someone gives you seemingly good advice doesn’t mean you should skip your due diligence. 7. If the case doesn’t settle, will the law firm go to court for you? Some personal injury law firms focus solely on cases they can settle out of court. If a settlement cannot be reached, then they do not have the experience or resources devoted toward helping you achieve a winning verdict in the courtroom. At Link & Smith, our lawyers have a vast array of experience handling cases via settlement and trial. So no matter which skills are required to get your case solved, you can be rest-assured that you are in good hands with our legal team. If you are in the process of hiring a personal injury attorney for a truck accident, or any other accident for that matter, we want to meet with you to discuss your potential case. Remember, there is no cost for meeting with us; it’s simply an informational session where we discuss your accident, and determine the best course of action to help you get the justice you deserve. For more information, contact us here to schedule your complimentary, no obligation consultation, or call us today at 404-315-8840 to speak directly with one of our truck accident personal injury attorneys. This entry was posted in Blog, Tractor-trailer accidents. Bookmark the permalink.